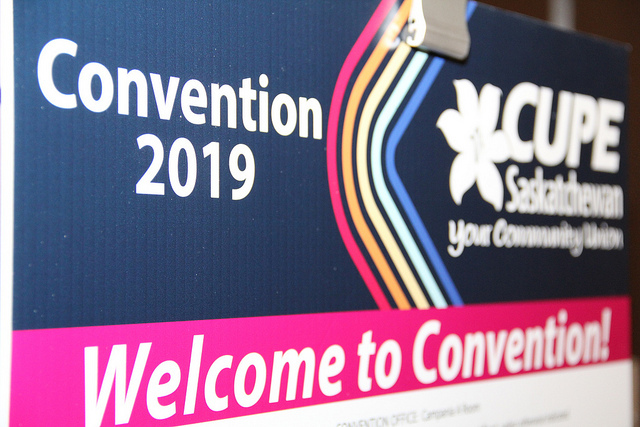 Delegates representing over 30,000 members of the Canadian Union of Public Employees in the province gathered at the annual convention of CUPE Saskatchewan on March 6 to 8, 2019, at the Delta Hotel in downtown Regina. 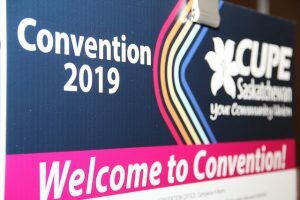 Thank you to all the delegates and guests of CUPE Saskatchewan’s Convention 2019 for all the solidarity, discussion, resolve to fight for fairness and build a stronger union, and fellowship with members across the province. Check back for more highlights from Convention 2019.